Kitchens are often the center of a home. It's where the family gathers for meals, where the kids do their homework, and where guests often congregate during a get-together. The kitchen gets a lot of use! It also gets a lot of remodeling attention. According to the National Association of Home Builders it is the second most renovated room (bathrooms are at the top of the list). 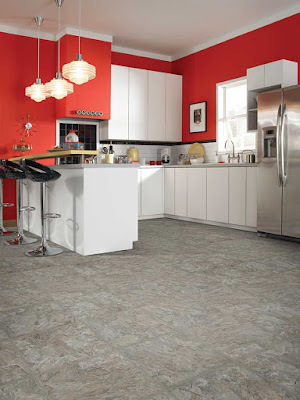 If you're looking at a kitchen remodel, consider luxury vinyl or resilient flooring. It's the perfect mix of practical and pretty. Luxury vinyl - also known as resilient flooring - is an extremely durable, easy to clean, waterproof flooring option. Thanks to high quality, high-definition printing on its top layer, it has a highly authentic appearance of stone, ceramic or wood. It’s particularly popular for basements, kitchens and bathrooms. And because it’s softer underfoot than traditional hardwood or tile, it’s comfortable whether you’re standing in the kitchen cooking dinner or entertaining in your basement. In short, luxury vinyl gives you the look of wood or stone floors at a fraction of the cost and with far simpler maintenance. The first secret to luxury vinyl's authentic appearance is in that high definition print. The second secret is in how it is installed. Traditional vinyl is installed in long sheets, often with visible seams. Luxury vinyl is installed in planks or tiles depending on the look you want to achieve. So a wood-like luxury vinyl floor is installed in planks just like a traditional hardwood or laminate wood floor. 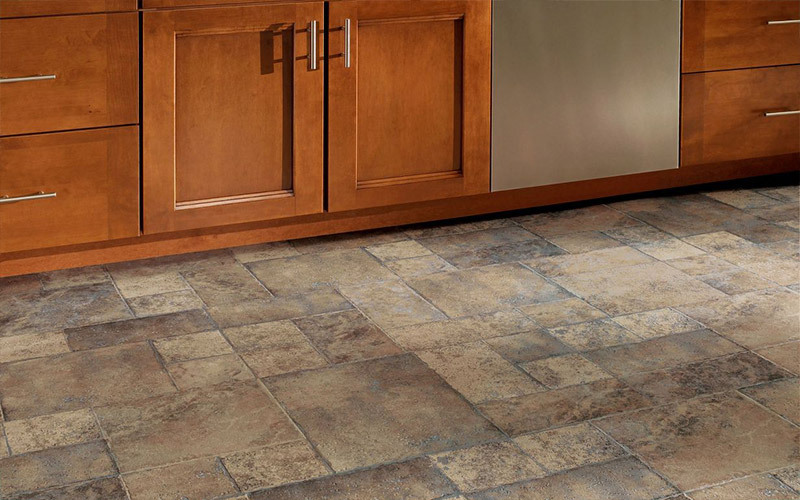 A luxury vinyl floor with the appearance of stone is installed in tiles manufactured to look just like ceramic, quartz, travertine stone, slate, and marble. And they don't just look like stone or wood - they have a natural texture that you can feel too. Learn more about luxury vinyl flooring. Luxury vinyl is quickly becoming a top seller at our Indianapolis flooring store. Stop by our showroom and discover its many benefits for yourself.